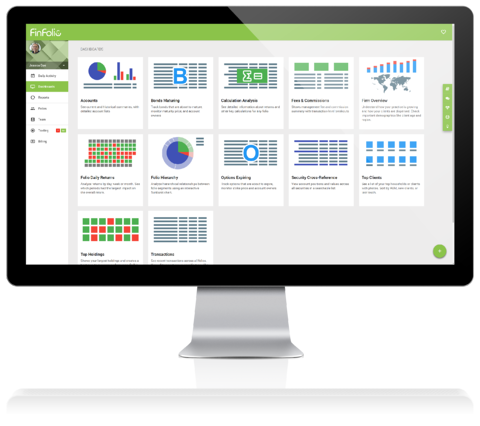 FinFolio is the best in the industry at converting your data from PortfolioCenter®. Get up and running quickly on FinFolio with the same data you have been using for the last 20+ years. Converting from desktop software to a new, modern web product can be daunting. You would love to move into the 21st century with a client portal, integrated rebalancer, point-to-point returns, and powerful report writer. But the leap seems too far, the conversion process too risky. Don't worry, you are in good hands. FinFolio is the best in the industry at converting from PortfolioCenter®. We have a seamless process that ports your data quickly, keeping all transactions, performance, prices and other important data. Part of switching systems is adapting your processes to a new software. But we have you covered here too. FinFolio's architecture is closer to PortfolioCenter® than any other system in the industry. Enjoy the new reports and tools, while at the core our software design will be familiar and comfortable. Contact your custodians so FinFolio can receive data feeds. Run FinFolio in parallel with PortfolioCenter® until you are comfortable. * Extremely large or complicated databases may take longer than a week.